If the Internet has proven anything, it’s that people love watching cats doing cute things. Check YouTube for copious proof. Director Roger Spottiswoode has taken that energy and harnessed it into a charming, feel-good movie. An adorable ginger cat worms his way into the life and heart of a recovering addict living on the streets. 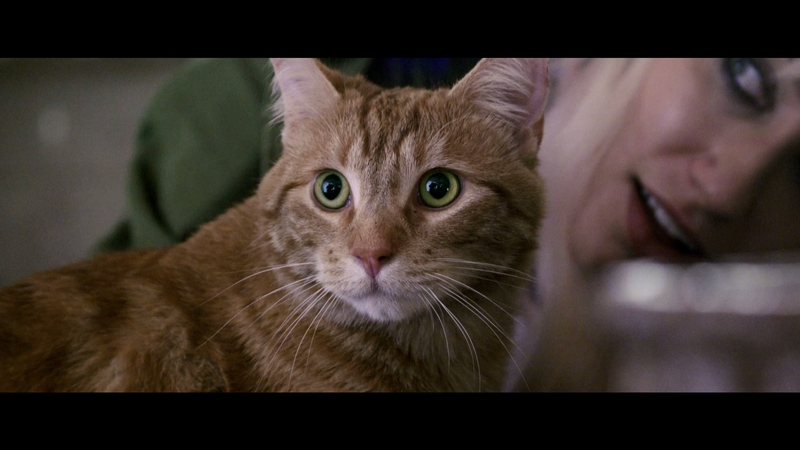 The uplifting A Street Cat Named Bob stars a charismatic cat in a touching tale of feline friendship. Based on a true story adapted from a 2012 international bestseller, it’s a heart-felt movie grounded in the gritty reality of junkies living on the streets of London. A young street musician is put into a methadone therapy program to curb his heroin addiction. With nothing else to live for, a cat named Bob will soon become the addict’s constant companion. 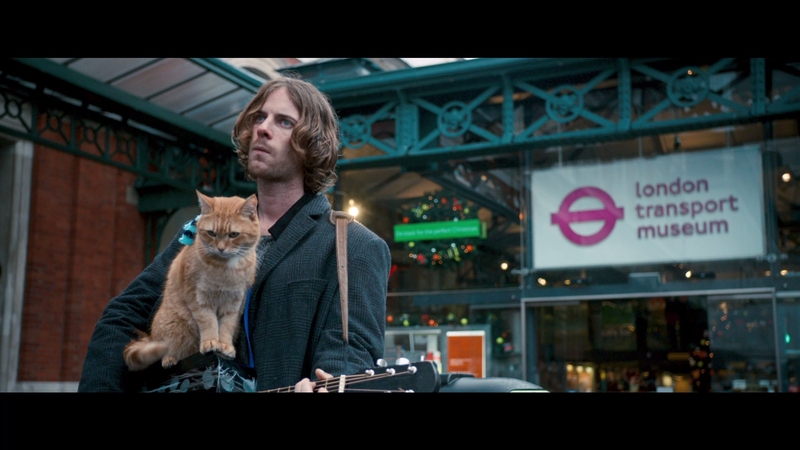 James Bowen (Luke Treadaway) is a young street musician living homeless in London. 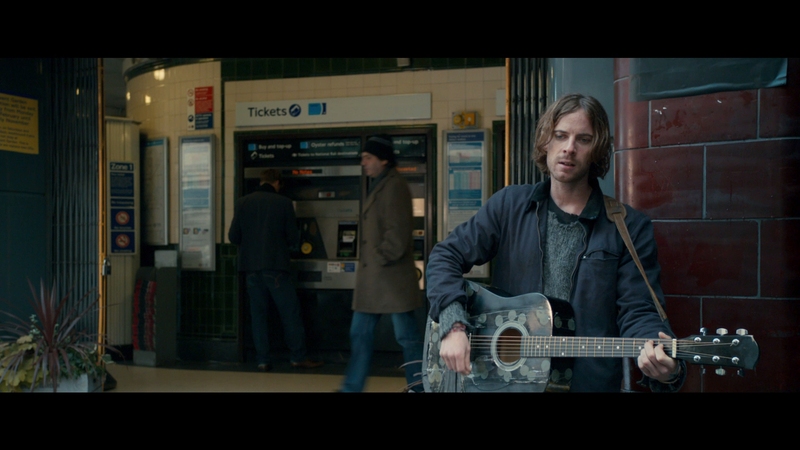 The guitar-playing singer busks for petty cash, always looking for his next score. A strung-out junkie barely surviving on his own, a kind social worker gets James into a methadone program and a modest apartment. 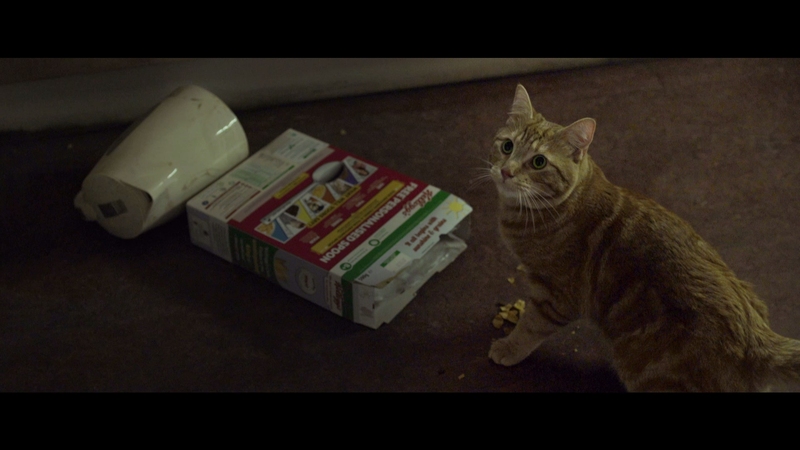 James’ life will never be the same when a stray ginger cat that gets named “Bob” walks into his apartment. Bob the cat’s situation isn’t much different than James’ problems. Malnourished and injured from living on the streets, James takes a liking to his new feline friend. James will soon encounter Betty (Ruta Gedmintas), a friendly neighbor offering needed advice for the lonely James. Most Americans will recognize English actress Ruta Gedmintas from her turn on The Strain as Dutch. Betty will help James grow into a better man. Soon James and Bob become an inseparable pair after his feline friend gets cleaned up by the vet, walking the streets of London together. Bob often rides on James’ shoulders, drawing attention to James from people on the street. Still a recovering addict, James starts raking in more cash from his busking with Bob at his side. The cat is a powerful draw for passing pedestrians. 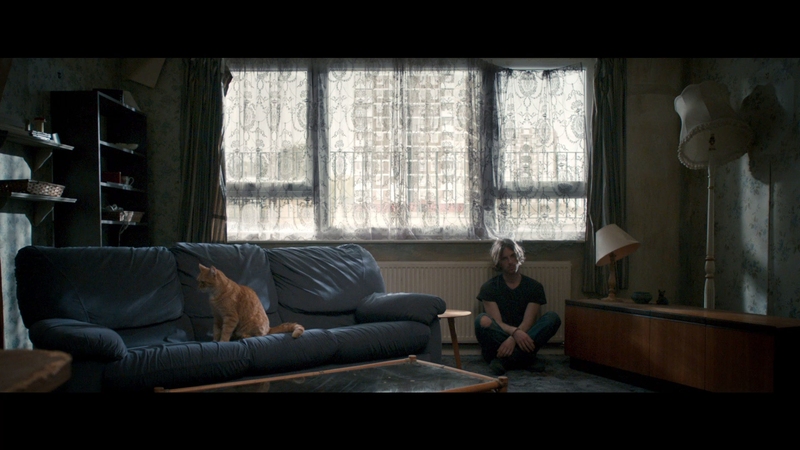 A real emotional kinship forms between James and Bob, as Bob the cat becomes an essential part of James’ life. That connection gives James the courage to finally see his estranged father, played by Anthony Head. A Street Cat Named Bob doesn’t softball the issues faced by James. Starting out as a heroin addict, his life on the streets is a world of junkies and street crime. That may be why the sappy connection he later develops with Bob doesn’t feel manufactured or forced. It comes across as completely genuine in the smooth script. Director Roger Spottiswoode’s film is poignant yet heart-felt, grounded in the harsh reality of James’ life. There is a powerful sense of optimism that springs from James’ escape from addiction. Most everyone is happy to meet Bob, allowing James to become part of social society again. A Street Cat Named Bob is ideally for cat people. Having been around cats in some form since childhood, the movie definitely tugged at my heart-strings. The cat practically steals the show with its playful mannerisms, learning to high-five James on command. It’s rare when a cat performer steals the spotlight in drama but this is one such case. Despite its initial harsh setting, the warm, inviting story told in A Street Cat Named Bob is inspirational in nature. A Street Cat Named Bob is fine entertainment about the power of the human spirit when helped out by a little TLC from an animal companion. 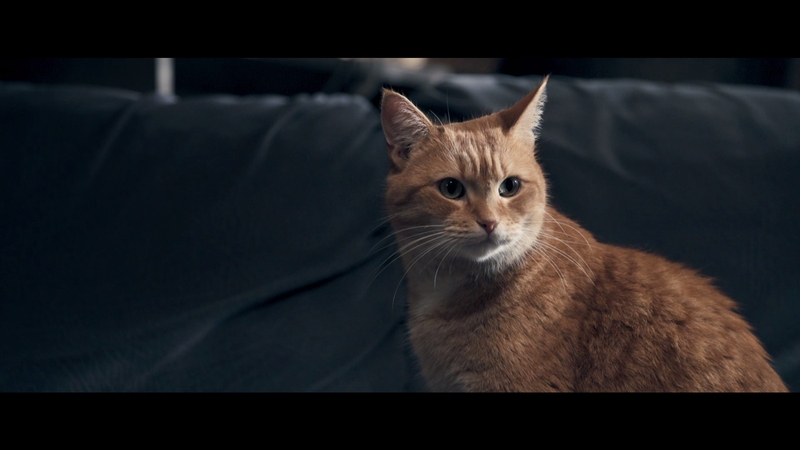 MVD Visual distributes A Street Cat Named Bob for Cleopatra Records. The British production offers steady, fairly sharp 1080P video. The overcast skies of London set the steel jungle atmosphere for much of the film’s 102 minutes. Close-ups have nice definition and clean detail in strong clarity. The visuals aren’t flashy but certainly deliver a crisp impression of James’ world. The AVC video encode fits on a BD-25. It’s a transparent rendering of the film without artifacts. The 2.40:1 presentation has consistent black levels. All things considered, A Street Cat Named Bob looks fine on Blu-ray. One disappointment on this disc is that the immersive surround audio is only offered in a lossy 5.1 Dolby Digital soundtrack done at 448 kbps. The movie itself is built around James’ frequent street singing, incorporated into a fairly discrete audio experience with ambient depth. 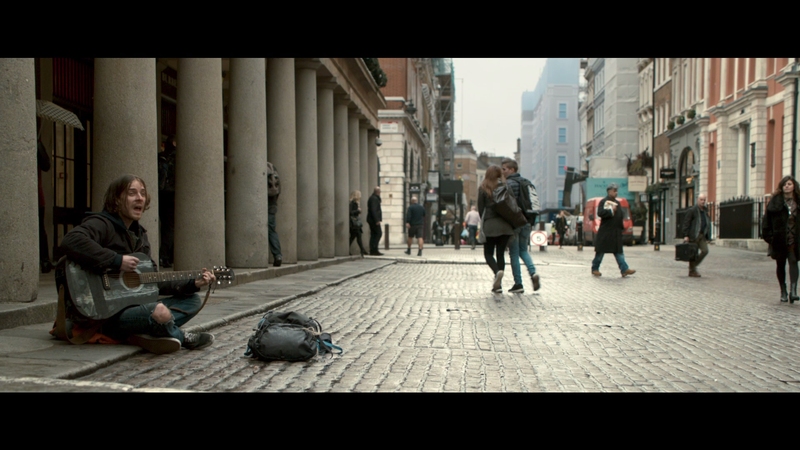 This is strong sound design, capturing the bustling sounds of London. Dialogue is cleanly heard in the balanced mix and there is a decent spread of music across the front soundstage. No subtitles are present on this Blu-ray. Included inside the BD is a flyer for the book that inspired this movie. A couple of very short featurettes serve as the primary special features. I would have loved to seen a commentary by the director included. Introducing Bob (01:36 in HD) – The real James Bowen gets interviewed about his thoughts on seeing his life story adapted for the big screen. 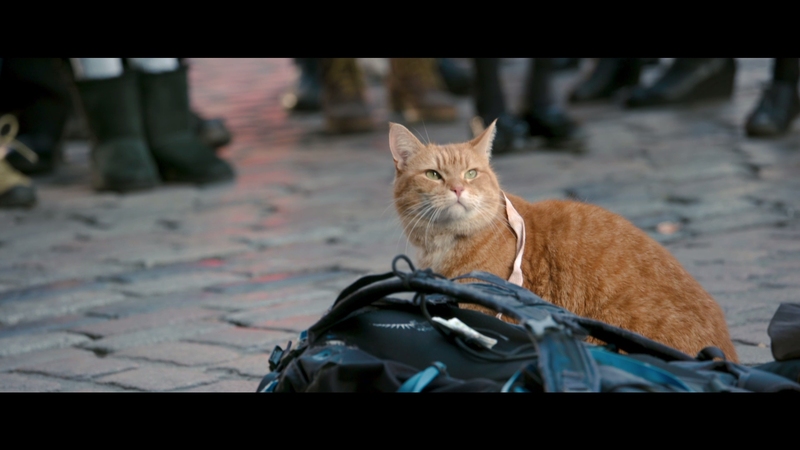 The Story Of A Street Cat Named Bob (01:36 in HD) – Brief interviews go into a cursory behind-the-scenes featurette. 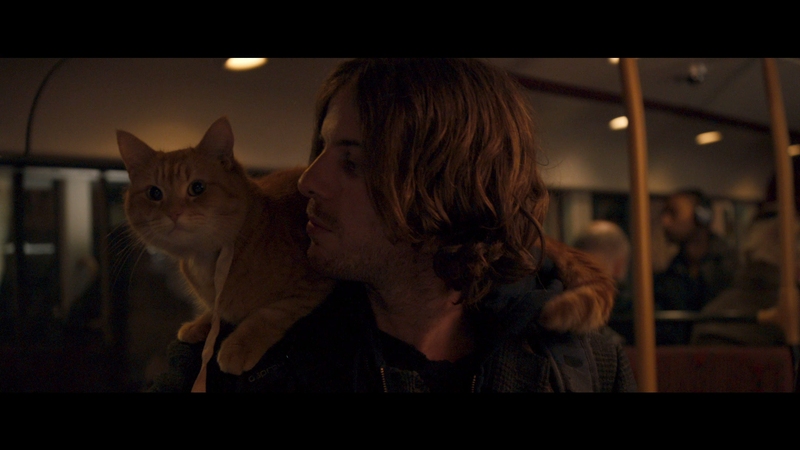 A charming movie about an adorable street cat and the cat’s special relationship with his owner. Click on the images below for unaltered, full resolution screen captures ripped directly from the Blu-ray. Patreon supporters see our screen shots before publication, can view our entire library in .png format, and gain access to nine Bob exclusives for as little as $1. They are perfect for custom cover art, film study, or other applications.